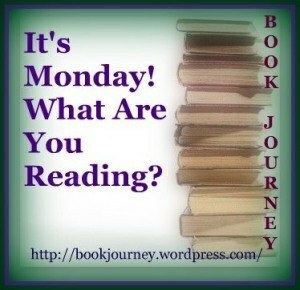 I’ve been following Sheila (Book Journey)’s blog for over a year now and have often added many books to Mt TBR when I read her “It’s Monday, What Are You Reading?” thread, so I figured I would finally jump into the fun and post my updates. I had a great long weekend at a reader’s luncheon in Washington DC on Saturday where I scored like 20 new books to read (although, I have no idea where I am going to start). I also have (like always) about 4 different books in progress. So here is a bit of a glimpse into the current state of my currently-reading pile. I picked up this book because of a reading challenge, specifically, I needed a book with one of the following words in the title: please, “thank you”, thanks, “may I”, pardon, welcome, sorry. 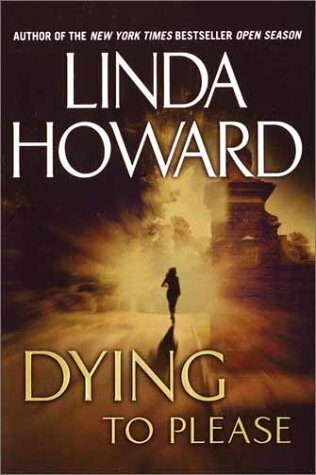 I found Dying to Please, in stock at the library in the audiobooks and its by a narrator I liked (Susan Erickson who also does the In Death books). I’m about 2/3 of the way through right now and I can see why many of my reading friends who have read it have issues with the hero in the story and some of his actions – I don’t know if I have faith that Ms Howard will pull off a believable ending, but we shall see. Anything But Sweet is another book that I picked up for a reading challenge (this time, I needed a book set in Texas). Can you tell that I like reading challenges? Candice Terry was recommended to me by T.J. Kline after I won a blogger prize from her at a launch party and was looking for a book set in Texas. I’m also a sucker for small-town romances, so I’m intrigued how this is going to turn out. I’m only about 10% of the way in on my kindle – so still very undecided. Podium Finish was a random pick-up when I was browsing the new release ebooks on the library website. I don’t exactly know what intrigued me about it, but I’m really hoping for a fairly angst free YA book, but I have a worry based on what I’ve read so far, that I’m not going to get that. Its told it an alternating POV, Harper, the Ice hockey player and Alex, the Ice Dancer. I guess time will tell how this will turn out. I should love this book, Nalini Singh is probably one of my current favorite authors, I devour her Psy-Changling books when they are released, but for some reason, this one just isn’t working for me. I’ve had it in progress for close to a month and I just have no desire to pick it up. I know when I do, I’ll probably get sucked in and finish it up, but reading it now, is just ehh…I guess I’ll try to finish it up this week, since I have Friday off and we’ll go from there. I guess that’s about it – What books are your currently reading? Anything that makes you scream, must read? Dying to Please looks interesting!! !